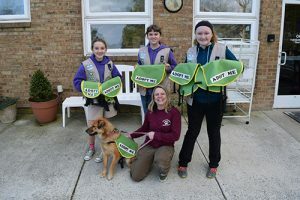 Girl Scout Cadettes from Troop 649 have been working on their Silver Award with the Worcester County Humane Society. 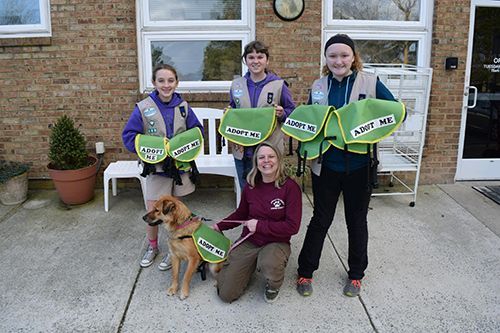 The shelter was in great need of “Adopt Me” vests for the shelter dogs when they go out to events. The girls put their ideas together and through research on the Internet found a pattern and got to work on the vests. They worked several weekends in a row to finish the project and presented the vests to Jessica Summers at the shelter last month.